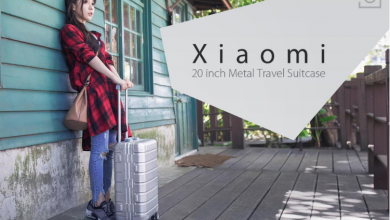 FIMI very openly communicates on its own website that they see themselves as part of the Xiaomi ecosystem. 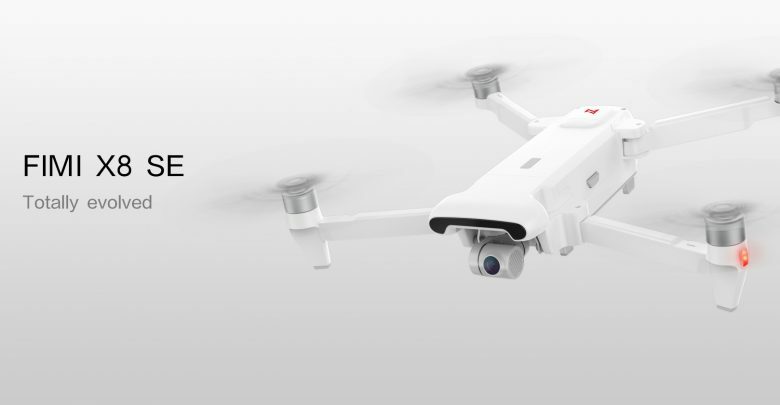 In fact, the company was already behind the development of the Xiaomi drone, which came on the market in May 2016. 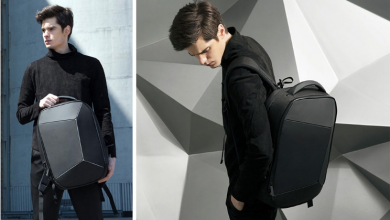 The newer models are now also sold under the name FIMI. 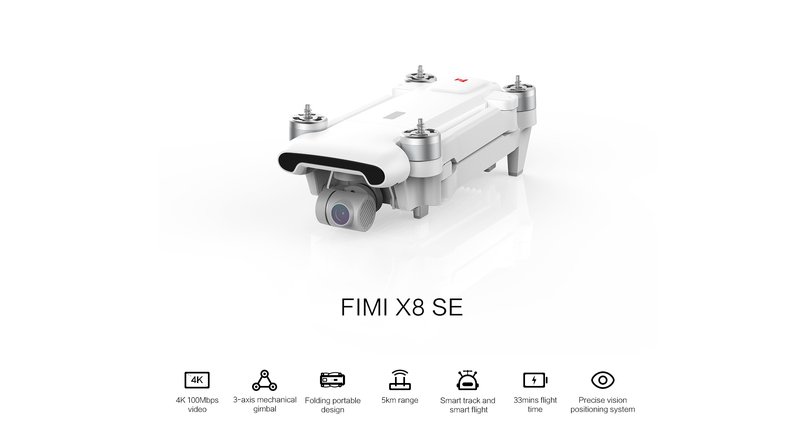 The first model was the FIMI A3, which externally still strongly reminded of the old Mi-drones. The X8 SE also builds on the design but also brings with it further changes. 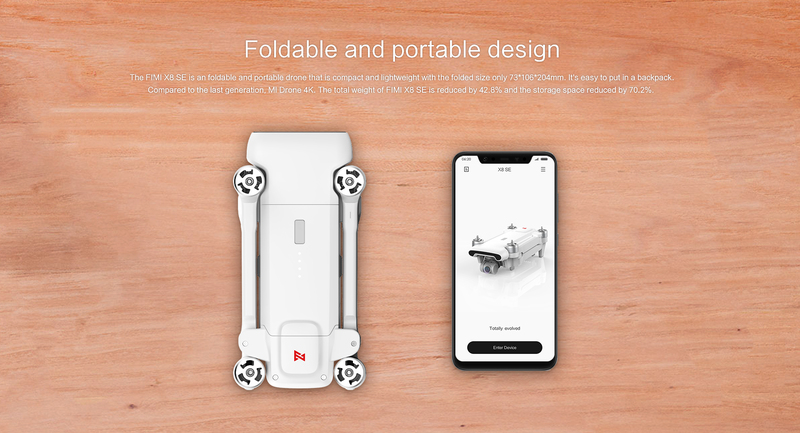 Thus, the arms of the threat are now foldable for the first time, as is the case with the Mavic 2 or the recently released Hubsan Zino. The front above the camera is a bit wider and now has a black cover behind which supposedly sensors should find space. There is no confirmed info yet. The battery is no longer pushed into the rear of the threat, but is taken vertically upwards and sits exactly in the middle of the drone. 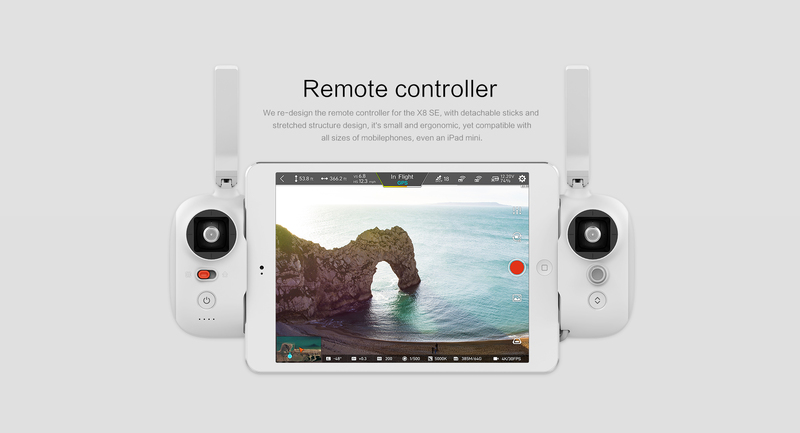 The remote control has been changed compared to the previous model. Was there still a display integrated, here again, the own Smartphone must be attached. For this, the remote control is pulled apart sideways and clamped the phone in the middle. Unusual is possibly the very wide grip, apart from the remote control looks good on the first pictures. 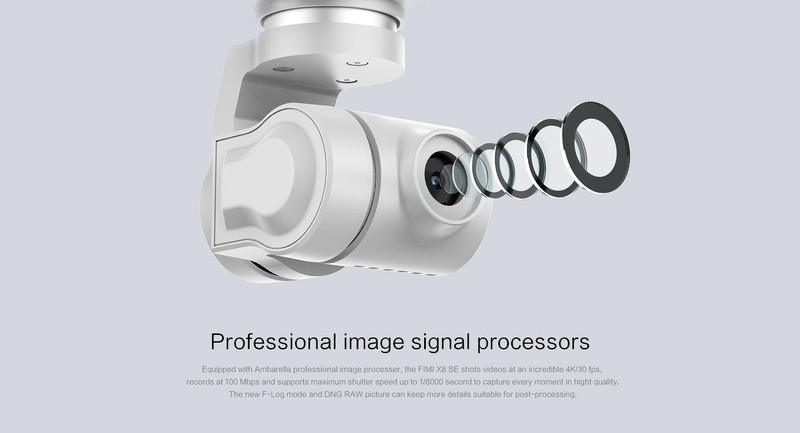 The camera will be able to record videos in 4K at a frame rate of 30 fps. (Up to 60 fps are possible for 2K footage and up to 100 fps for full HD footage.) 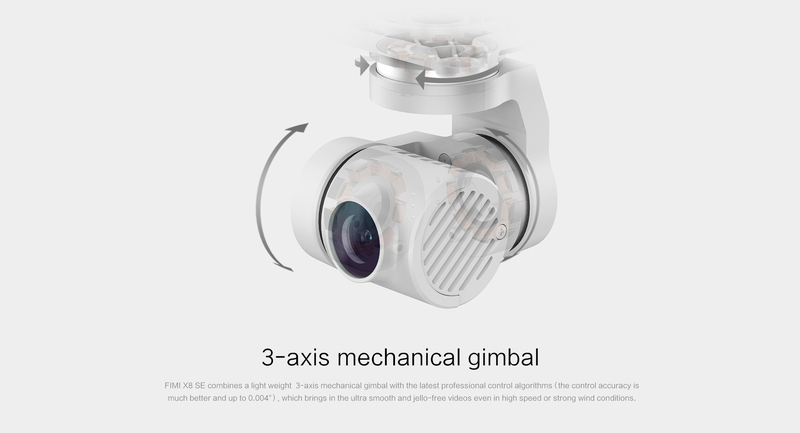 Unlike the FIMI A3, there is now a 3-axis gimbal that stabilizes the footage. 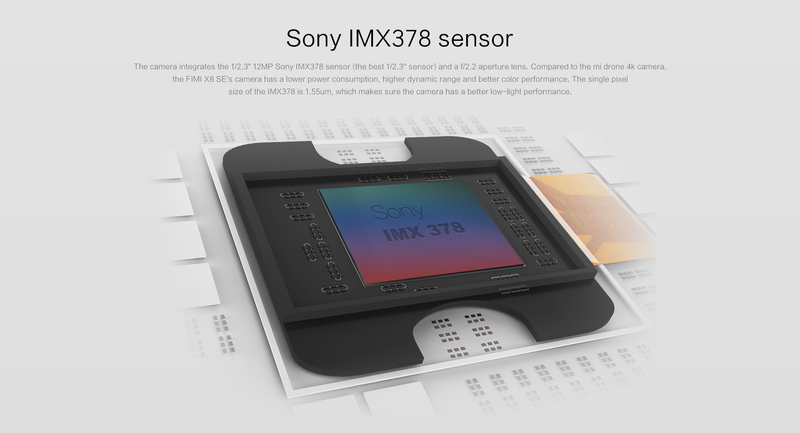 The 1 / 2.3 “sensor is the Sony IMX378, which is also used in the Mavic 2 Zoom. In principle, the camera can also be zoomed, but this is just digital zoom. Thanks to GPS and optical sensors, the drone also masters some smart or autonomous flight modes. This way you can fly waypoints marked by app or circle around an object. Also, an automatic “Rocket” (vertical flight with a downward camera) or ” Dronie ” function (rising backward) are possible. 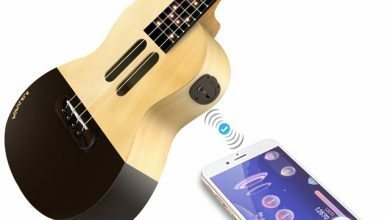 Various tracking features allow you to track an object or a person from different perspectives. 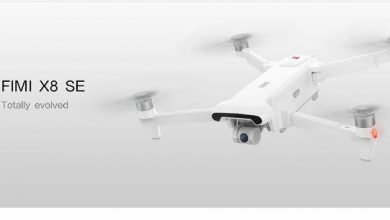 And also time-lapse recordings are possible according to the description; in free flight, with an object in focus or with waypoints. The battery is quite large with 4.500 mAh and should provide a total of up to 33 minutes of flight time. The manufacturer limits this, though, by saying that this is possible only in calm conditions and constant 8 m / s, but it is still a considerable value. If the battery is almost empty, the app warns the pilot and the drone can return on its own.